COME HAVE YOUR NEXT EVENT OR PARTY HERE AT MODERN VICE! With multiple rooms to cater to your needs; we’re sure you’ll find a reason to rent one of our spaces. 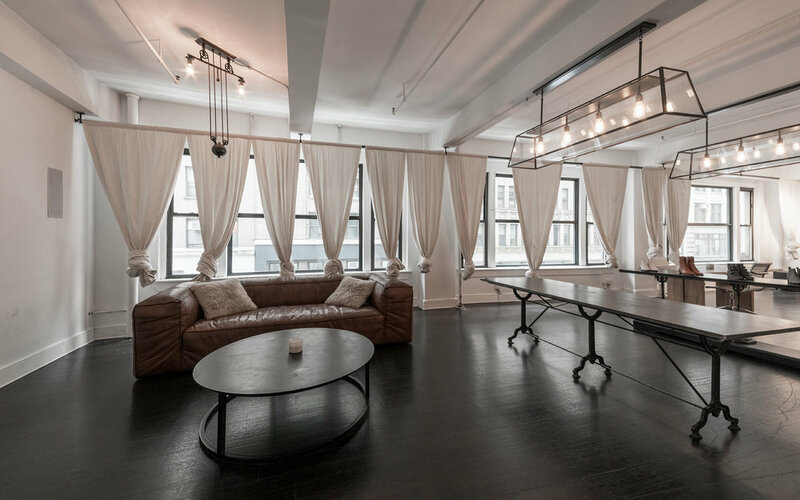 Our main showroom has gorgeous dark wood floors and large windows looking out onto 38th street. At over 730 square feet, you can fit 100 people standing and approximately 60 seated. 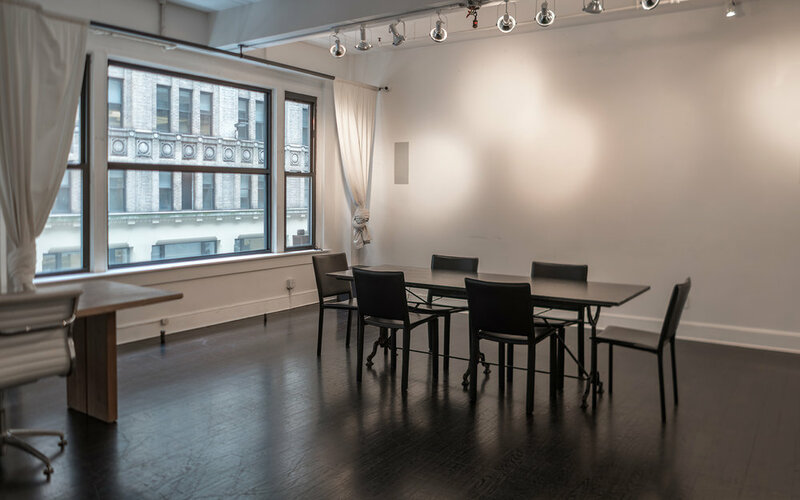 Adorned with a chandelier and modern lighting it’s the perfect meeting room, The Showroom can be rented for full or partial rental. In addition; we have a room we like to call the “Glass shoebox”. With glass walls; you can view our workshop where the only handmade shoes in New York City are made. Our 18ft x 38ft event space is perfect for your next event, pop-up shop, or just providing more space for larger photo shoots.